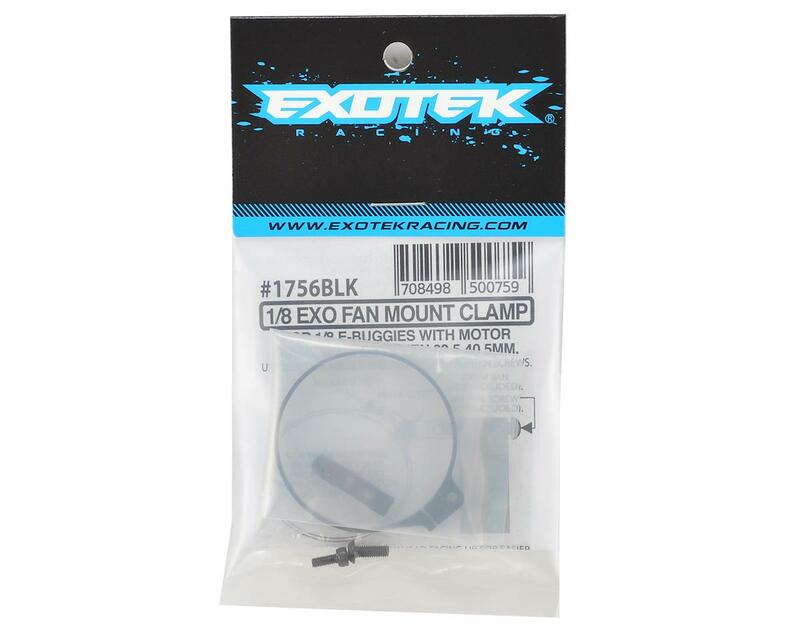 The Exotek 1/8 E-Buggy Clamp On Fan Mount will allow you to keep your motor cool using a 30mm or 40mm fan. Lightweight and secure, this is the mount you need to get a big fan in tight spaces. 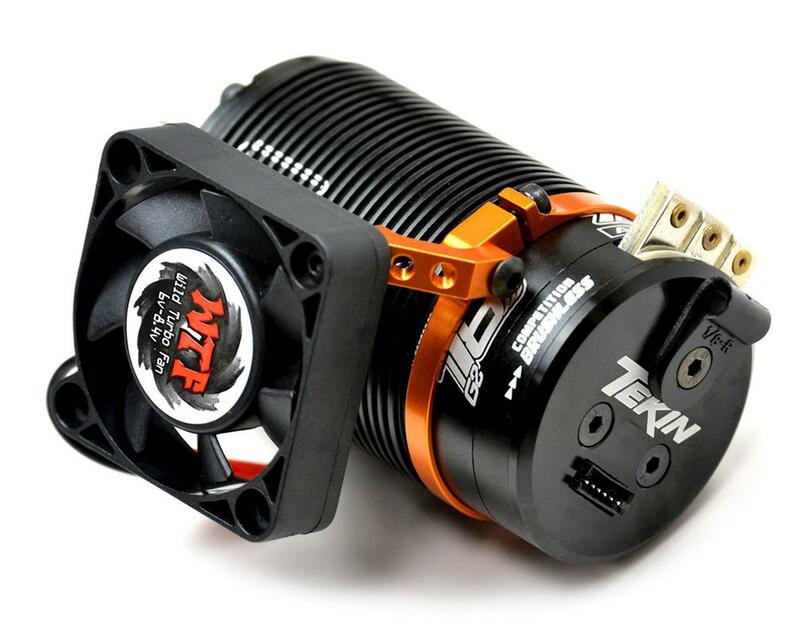 The mounting bracket has multi-mount features that allows the fan to be angled or parallel with the motor can. The mount will also allow you to mount the fan at the end bell in cramped buggies by using camber shims for spacing. The extra modular design means with a few adjustments you can mount a fan securely in any 1/8 e-buggy. 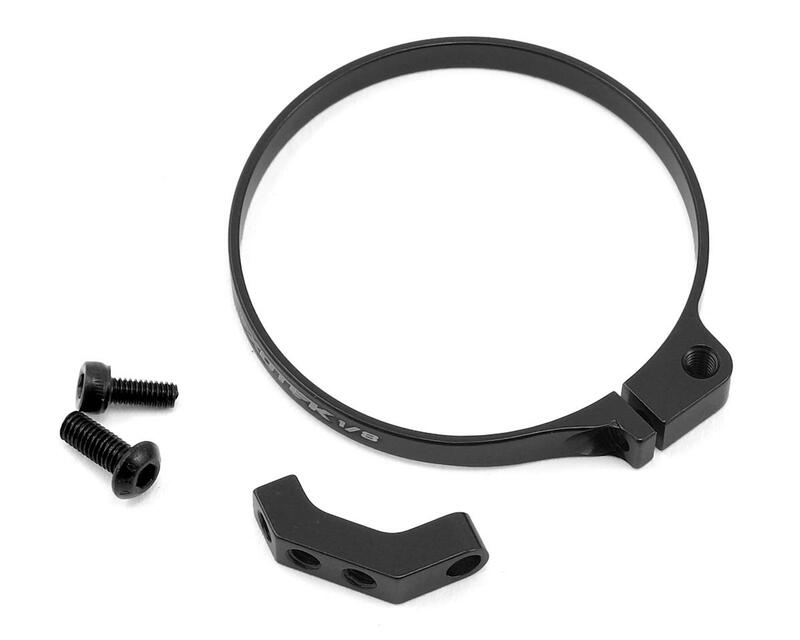 Plus its available in an anodized black, blue or orange finish and fits standard 1/8 size motors with a diameter of 39.5-40.5mm. The mount is strong and holds up well. If you broke your fan and not your mount then that's your clue that you crashed on top of your fan or you are using a cheap fan! Very weak. Once a little bit tightened and the fastening becomes useless. The very idea of fixing the cooler on 1 screw instead of 4x absurdity - the cooler breaks out exactly at the attachment point.